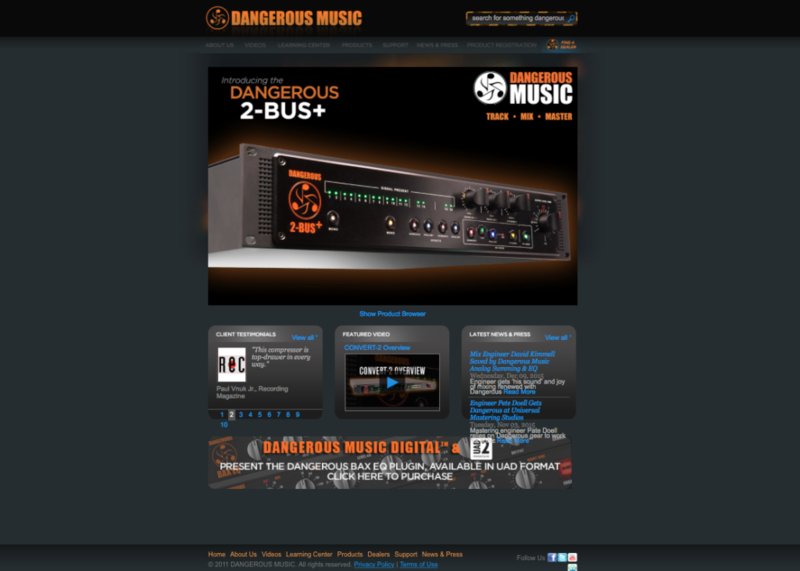 WebSite redesign and website development for Dangerous Music, a music recording manufacturer based in New York. 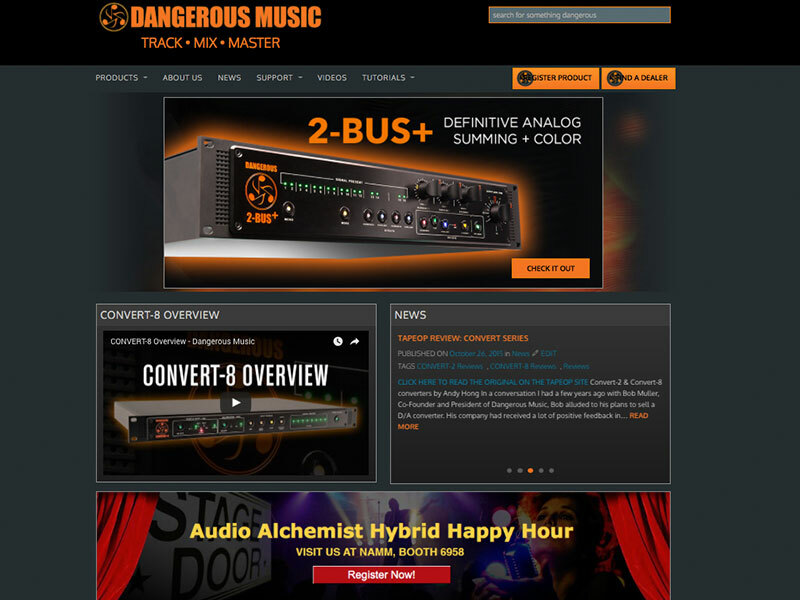 Dangerous Music hardware has been used by many Grammy winning artists, such as Paul McCartney, Metallica, Robert Carranza, Imogen Heap and many others. The client needed a slight design change and an upgrade to their layout structure to convert it to a mobile-friendly, search engine optimized (SEO) structure. We were excited to help them, being a Los Angeles Web Agency & SEO Agency, we felt grateful to have our reach extend out to NYC. There was also a slight change to their web branding strategy throughout the site to strengthen their brand awareness. They also needed their slider graphics redesigned to attract more attention at the start. Services Provided: Responsive/Mobile-Friendly Web Design, Web Development, SEO, Graphic Design and Custom WordPress Theme Development. Outcome: Web site is now responsive/mobile-friendly and brand is strengthened throughout the web site.